The Kona bricks have arrived! Hi! Have you ever experienced a situation where you sign up for something as an impulse and then wonder what the heck you did that for? Well, that happened to me. It was that 4 letter word K-O-N-A! Kona cottons are my favorite! I love the colors, the color names and of course the fabric. But you know what, I am not a neutral person (literally and figuratively). I am bright and bold, but...since it was a Kona swap, I joined, in like 5 seconds - sign me up! I'm not disappointed though. 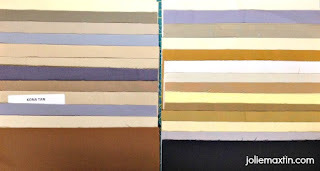 I got a whole bunch of neutral Kona bricks (5" x 10") to use however I would like. I have no idea at this point, but it'll come to me. Maybe it will take a year or two, but it will come to me. One idea floating around is a low volume type of project. 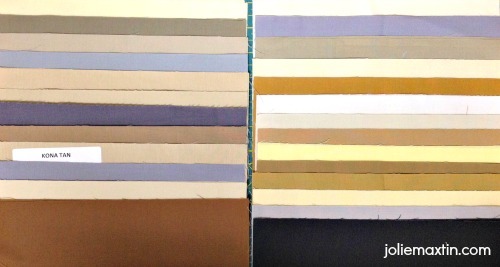 If you had these neutrals, what project would you use them in? 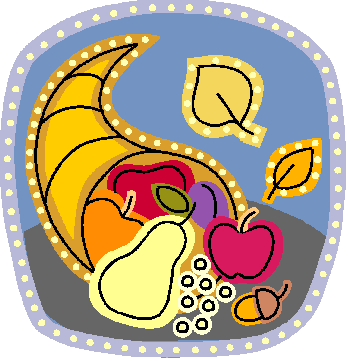 I have been busy busy busy but wanted to make sure and let you know that I wish you and your family a very Happy Thanksgiving. I will post soon to let you know what I have been up to lately. Do you know what today is? It's halfway through my 100 Day Hustle. Back in September Kelly over at Kelsey Sews created a link up to help and motivate us to get everything on our lists completed by the end of the year. So far my progress is great. I am not quite half way through yet, but I am doing pretty well. It is still too early to tell if I will get everything done, but I'm going to keep trying! Modern 99 - 11 down...1 to go! Aaahh, the sweet "almost" end to a bee. Last year I was hot and heavy into joining bee after bee and swap after swap. I have enjoyed every one of them, but I came to realize that it is more fun to work on my stuff so as the end of year draws closer, and my bee obligations thin out, I'm getting excited! This particular bee is to pick a block out of the Modern 99 book, send fabric to the members and end up with 12 blocks. 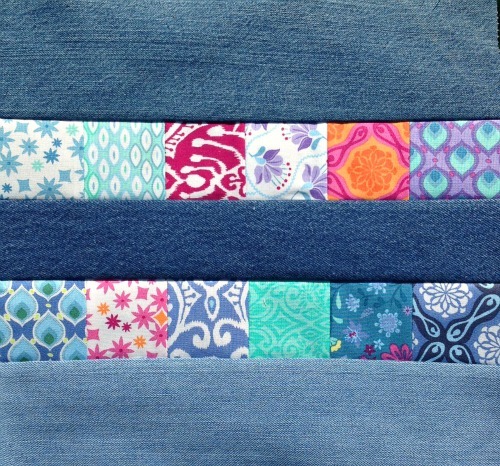 In November our hostess selected the "Everything Equal" block with some Cuzco by Kate Spain. You know, on a side note, I really like her fabric designs. Ok, so back to the block. 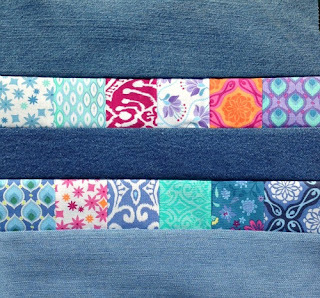 The background fabric is denim, which I had never worked with but it really coordinates beautifully with this fabric line. The block construction was easy but it will be interesting to see the finished quilt and how she arranges the blocks in final placement.